At the American Cancer Society, we're on a mission to free the world from cancer. We are unique, attacking cancer from every angle. We promote healthy lifestyles to help you prevent cancer. We research cancer and its causes to find more answers and better treatments. We fight for lifesaving policy changes. We provide everything from emotional support to the latest cancer information for those who have been touched by cancer. And we do it all 24 hours a day, 7 days a week. Until we do, we'll be funding and conducting research, sharing expert information, supporting patients, and spreading the word about prevention. All so you can live longer — and better. But we can’t do it alone. We need you to join us. 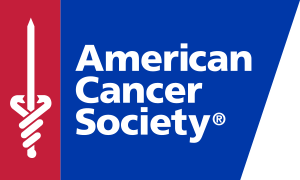 This year, the American Cancer Society is teaming up with Everywon San Diego to put on the American Cancer Society 5K. We have all felt the devastating effects of cancer, and now, it’s time to do something about it. Register today. Fundraise for research, patient services, education, and Advocacy. And join the American Cancer Society in the fight for a world without cancer. Click here for more information on the American Cancer Society’s lifesaving mission. HELP US REACH OUR GOAL OF RAISING $10,000 FOR VITAL RESEARCH AND PATIENT PROGRAMS AND SERVICES! Satisfaction of knowing you directly helped improve the San Diego community!